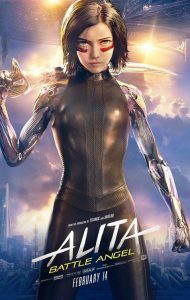 Alita: Battle Angel 7.6 out of10 (worst is 0)based on81,916 ratings. Plot: A deactivated female cyborg is revived, but cannot remember anything of her past life and goes on a quest to find out who she is. User Rating: 7.6/10 based on 81,916 votes.